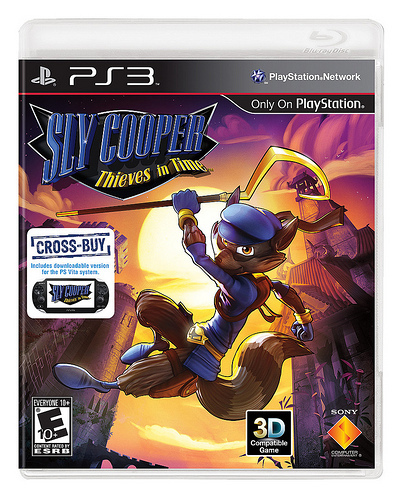 A post on Sony’s PlayStation blog has revealed that Sly Cooper Thieves in Time will be released February 5th 2013 on both the PS3 and PS Vita in North America. Those who buy the game on the PS3 will receive a free download for the PS Vita version of the game. I had just recently played the demo of Thieves in Time that was included with the Ratchet and Clank Collection. I was planning to write a first impressions but due to the length of the demo I scrapped it until a good opportunity arose. The demo features one playable mission that’s roughly five minutes in length. You play as Sly in a circus themed level to meet with on of his past relatives. Sly feels as he did in the previous game platforming complete with acrobatic death-defying abilities. What appears to be the new main feature of the game is the ability to change into a costumes giving Sly new abilities. In the demo Sly changes into a Robin Hood-esque outfit allowing him to create tightropes by shooting arrows at targets. That’s about it. This is designed as if it was on the PS2. The graphics are better but aren’t pushing the hardware. There are no enemies, no stealth and no real threat. I suspect or rather I hope that this is a tech demo than an actual level for the full game. The demo feel rushed and unfinished. It is a bad representation of Sly Cooper by showing probably the worst designed level in the series. It’s amazing how excitement can change into worry. It’s also worth noting that Sucker Punch is no longer the developer. A new team named Sanzaru Games has taken the reigns for our favourite raccoon. They don’t have a large resume of games developed but the most notable ones are Secret Agent Clank and The Sly Collection. If you want to play the demo for Sly your better off getting old PS2 copies of the trilogy or the HD collection. 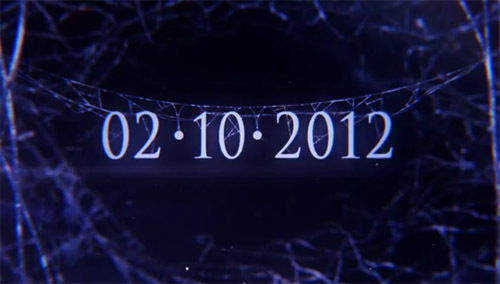 The newest trailer Resident Evil 6 was recently shown at Tokyo Game Show. With the game right around the corner what will the plot have in store for our heroes. For those attempting to go online on the PS3 today will find that there is a mandatory version update for the system. 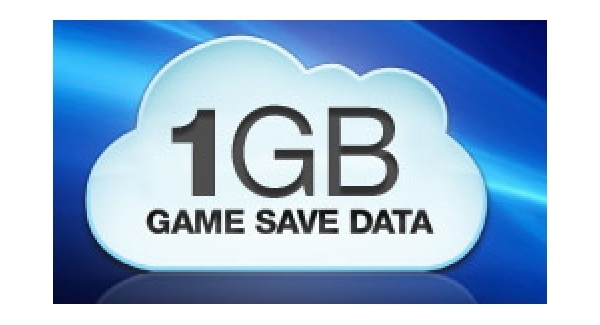 Version 4.25 gives Playstation Plus users 1 GB of of cloud storage for their save files. Prior to the update you only had 150 MB of storage. Out of curiosity I did a mass back up of all of my save data discovering that there was about 484 MB on my PS3, three times larger than the previous storage space allotted. So yes additional space is a welcome. Again this is only available to PS Plus users who also gain the benefits of free games/themes/avatars, discounts and the occasional early access to content like betas. It’s no secret that the Tony Hawk’s series has fallen from grace over the years. Depending who you ask the series started to decline at a couple of different points. Some people thought after THPS 2, while some thought after Underground and for me was after Underground 2. The only thing that saved American Wasteland for me was the online play and I thought Project 8 dismal. After the failed attempt with the skateboard peripheral after Tony Hawk: Ride Activision announced at last year’s E3 Tony Hawk’s Pro Skater HD a re-imaging of the first two games. Tony Hawk’s arcade-like skateboarding series has bailed long ago but is THPS HD a clean landing? This past week at PAX Prime, the third installment of the Final Fantasy XIII series has been announced. 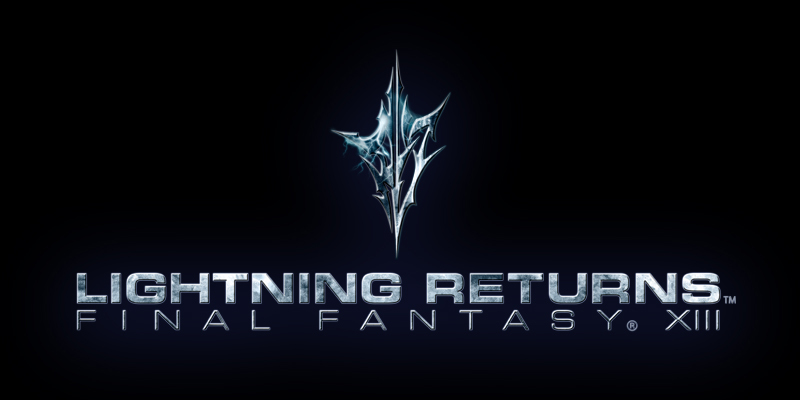 Titled Lightning Returns: Final Fantasy XIII-3 will take place hundreds of years after the end of FF XIII-2 which was hinted at the end of Lightning’s “Requiem of the Goddess” DLC released earlier this year. Lightning will be the sole playable character in the game. The battle system will be revised and become real-time where you can freely control Lightning in battle. The story will take to a new locals in the world of Novus Partus which is threatened by an incoming doomsday taking place in thirteen days. There will be a persistent countdown that will be affected by actions you take in the game.